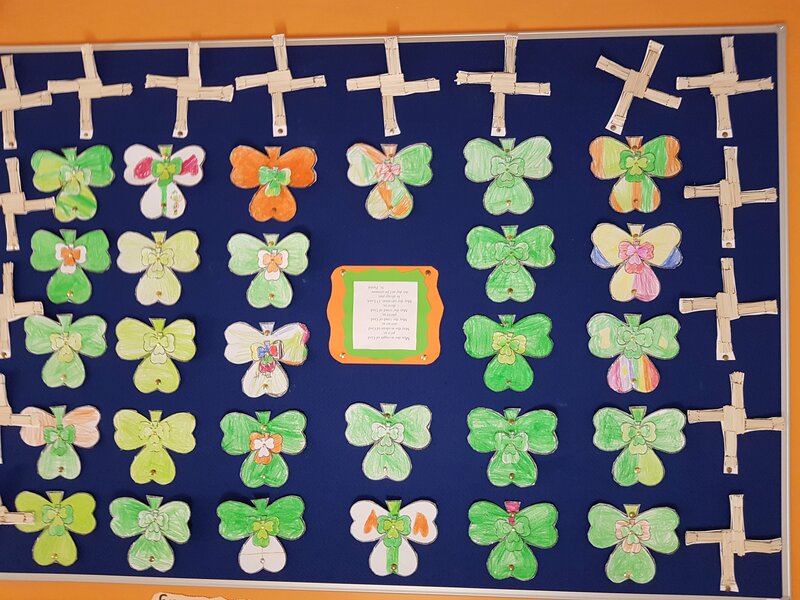 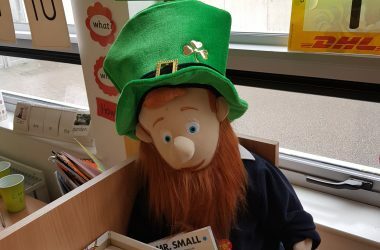 Going green for Lá le Pádraig in Senior Infants!! 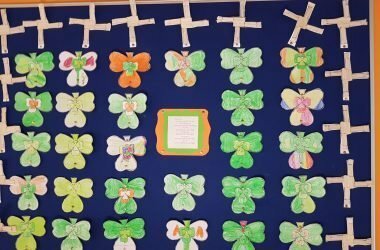 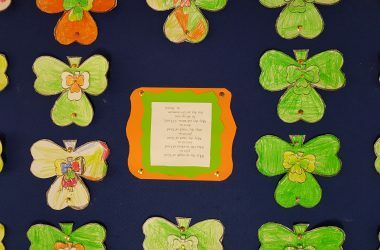 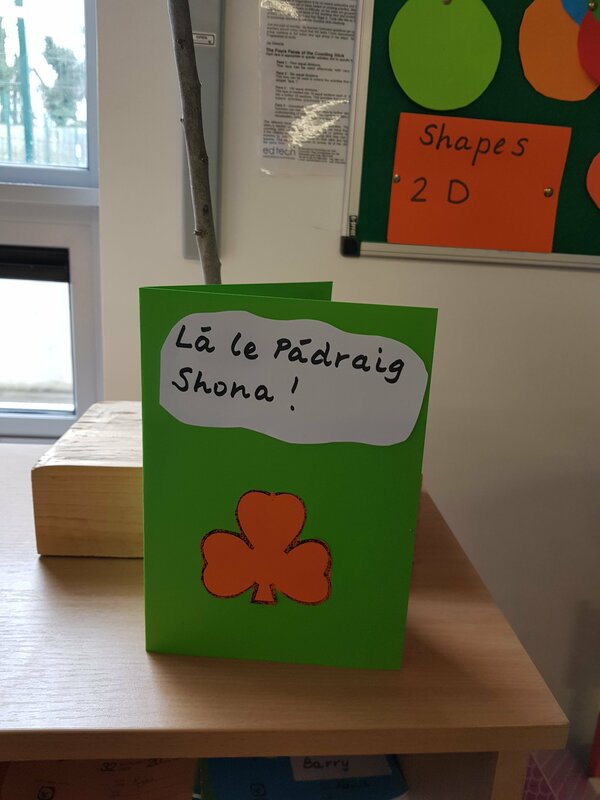 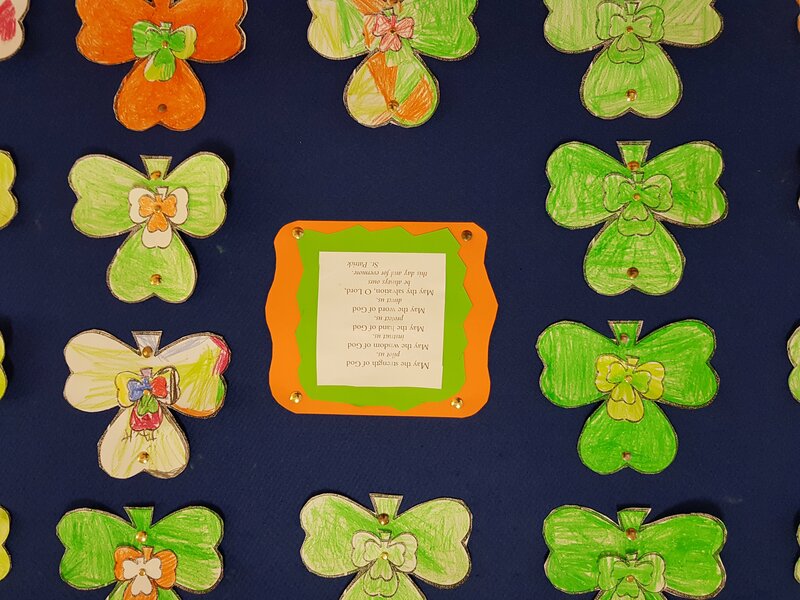 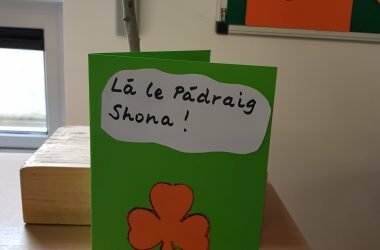 We all celebrated the story of Naomh Pádraig through story time and art in March. 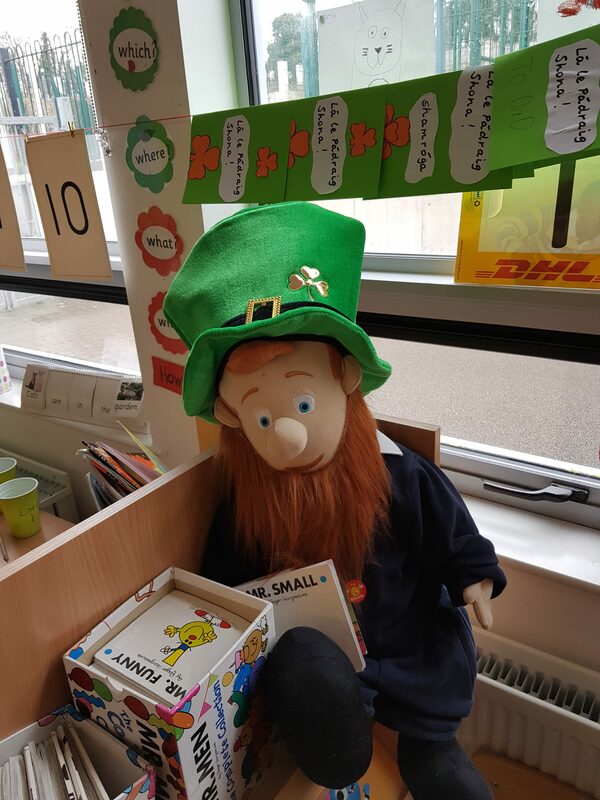 We even had fun” ag caint as Gaeilge ” with our class leprechauns.